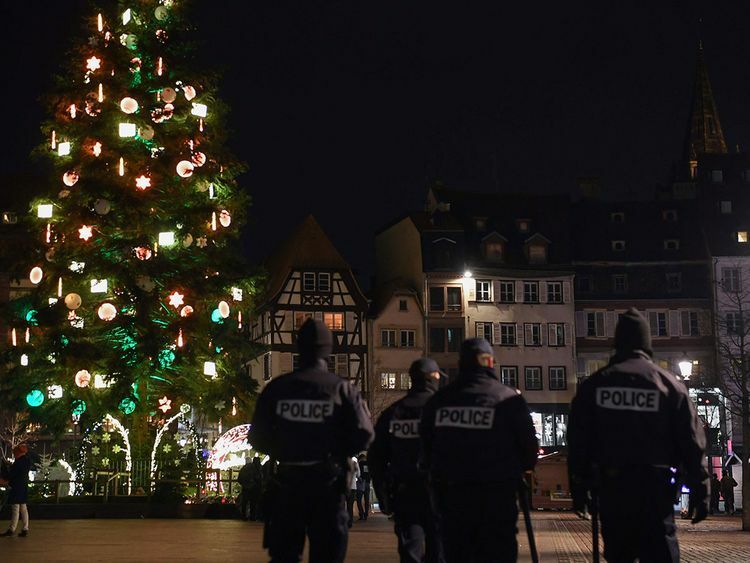 Paris: French police have arrested five people for allegedly helping supply a revolver used in a mass shooting at a Christmas market in the city of Strasbourg, sources close to the investigation said Tuesday. The five - four men, aged 32, 34, 65 and 78, and a woman, aged 57 - are all from the same family and were picked up in eastern France. They are believed to have supplied a 19th-century 8mm pistol used by Cherif Chekatt, a small-time criminal who shot dead five people and wounded 11 during the December 11 attack on the open-air Christmas market. In mid-December, another man, aged 37, was also arrested and charged in connection with supply of the weapon. Chekatt, 29, who was on a special watchlist as a suspected radical, is believed to have obtained the pistol a few days before the attack. He was shot dead by police after a two-day manhunt in the city on the German border. The Islamic State group claimed Chekatt was one of their "fighters", but this was dismissed by French Interior Minister Christophe Castaner. Judicial sources said that Chekatt had pledged allegiance to Daesh in a video found on a USB key.